RMHCA is thrilled to share this great news about one of the ADPi sorority chapters who helps us. 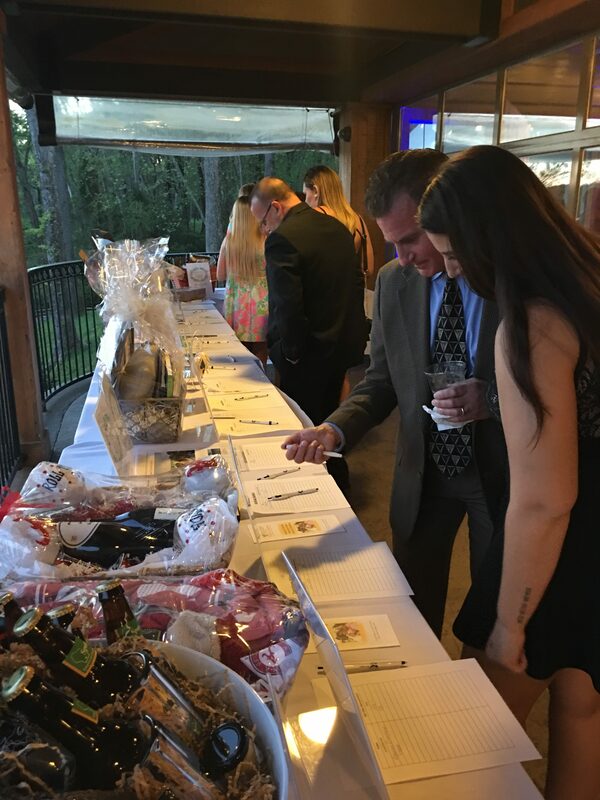 The Eta Chapter at the University of Alabama held their first Gala for Giving, benefiting RMHCA, on April 1 and raised $10,000! The event was held at Cypress Inn over the chapter’s parents weekend. The sisters and their parents enjoyed music from a DJ, light food, a silent auction and a raffle. 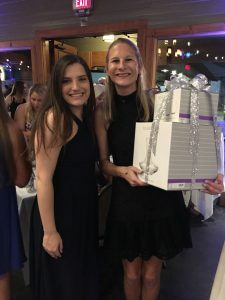 Eta Chapter Philanthropy Abbey Lauterbach says in addition to the fundraising aspect, it was a great opportunity for parents to meet each other and their daughters’ friends. The chapter estimates between 700 and 800 people attended the event and Abbey says they are already working on plans for next year. She was also incredibly pleased with the $10,000 total. “I was thrilled with for the first year of it. Every year it’s going to build and become more successful,” Abbey said. Abbey started in early November 2016 as philanthropy chair but the planning for the Gala for Giving. didn’t start in earnest until January. Abbey says she hatched the gala idea after attending a similar event last fall at Wake Forest, where her older sister is and ADPi. 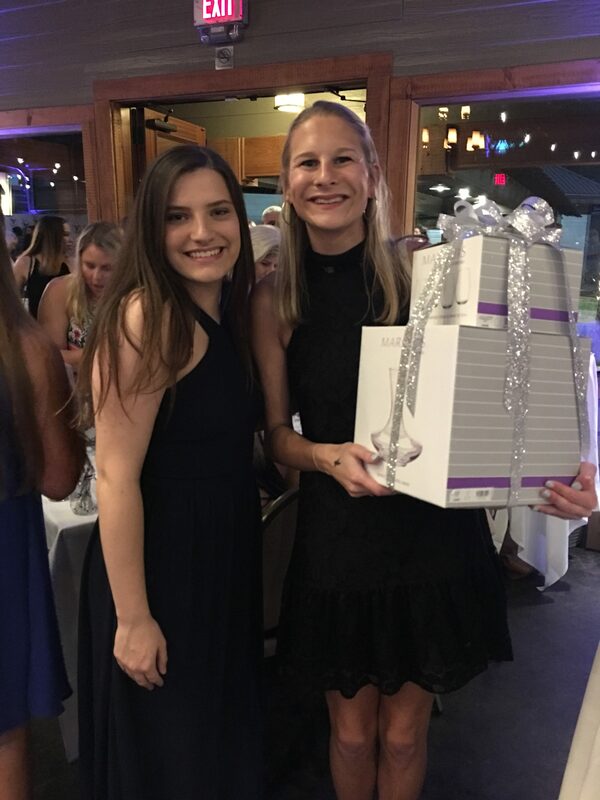 Eta chapter has more members and Abbey immediately recognized the potential for a successful Gala for Giving in Tuscaloosa. “My sister kind of thought I was crazy because they take a whole year to plan theirs,” Abbey said. But Abbey and the chapter pulled off their planning in three months! Abbey says there was a tremendously positive response from local businesses and even parents who donated to the event. “It meant a lot to me, I worked very hard on it so it made me so happy to stand there during the event and take in all the people there and how willing everyone was to donate to this wonderful cause,” she said. ADPi’s national philanthropy is supporting Ronald McDonald House Charities. Though her time as philanthropy chair is coming to a close, Abbey says she has truly enjoyed her work for RMHCA. ADPi Eta chapter volunteers at the House, providing meals, helping clean and supporting us at events. Eta chapter also hosts smaller events with other sororities and fraternities such as crawfish boils and Pie a Pi Day. All the fraternities and sororities with Pi in their name sell tickets in this fundraiser, giving other students a chance to throw a pie in their faces. Eta chapter also painted big water jugs and delivered one to each fraternity and sorority to help encourage pop tab recycling. All of these efforts, especially in the last year, are why we selected Eta Chapter as our 2017 ADPi Chapter of the Year. 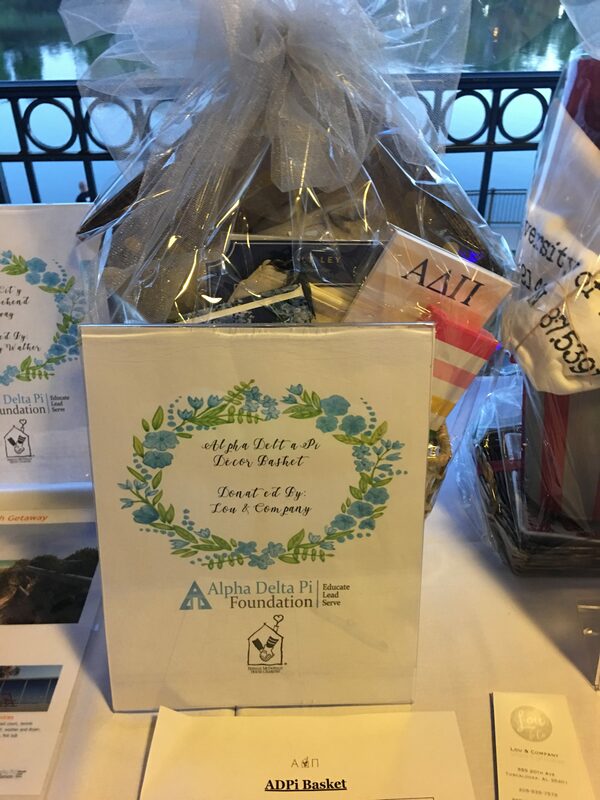 We can’t thank the chapter enough for their time, creativity, and fundraising support! Click here to read about Eta chapter’s 2017 Volunteer Award. Click here to read more recent news.